Apparently, the cheese does not stand alone. 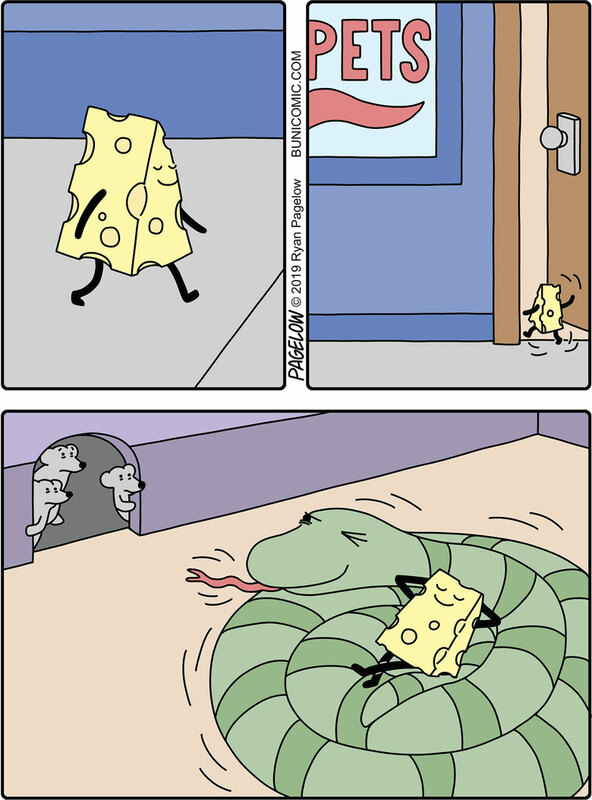 A perfect symbiose: The snake gets food, the cheese gets protection. I’ve seen mice tear a snake to shreds, those things are nasty.